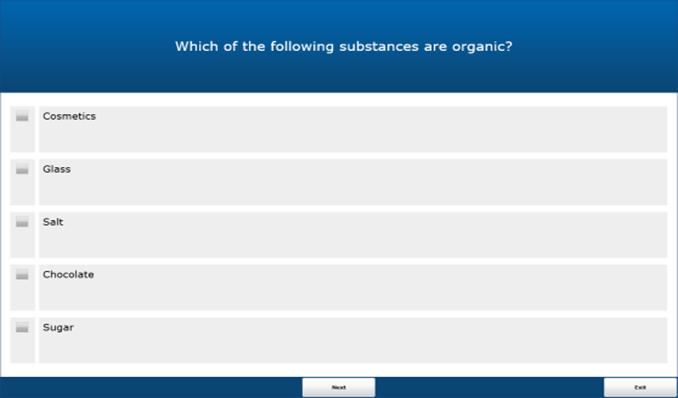 The SecTEC is a test consisting of multiple choice questions, the design of which is scientifically based. The evidence of various studies on how to create reliable, objective, fair and valid multiple choice tests which meet both practical and methodological requirements was built into the SecTEC. The content of the mutliple choice questions was compiled over the years in close collaborations with test psychologists, authorities, airports and security experts. The SecTEC is applicable in many fields where security is a crucial issue: at airports, prisons, nuclear power plants, military and police facilities, etc. There is always an option to request individually adapted tests to satisfy special needs and/or to meet national regulations. 1. How is the theoretical knowledge tested? The SecTEC consists of several multiple-choice questions. There are three to five possible answers for each question. 2. Are the results of the SecTEC immediately available? The administrator can see the results immediately. 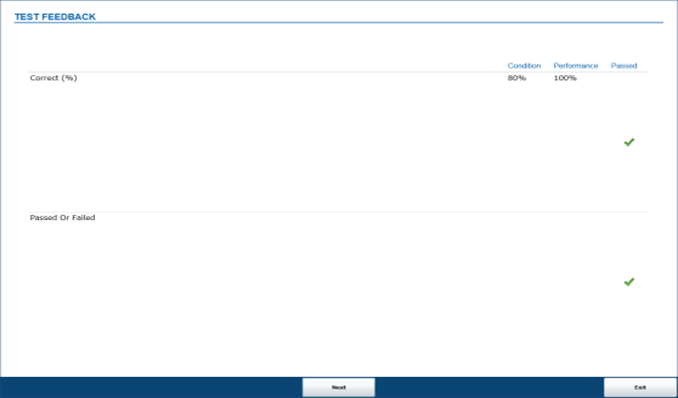 It is also possible to display a result summary upon test completion. 3. How long does it take to complete the SecTEC? It depends on the number of questions and the test taker. Usually it takes about 20 minutes. 4. How many questions does the SecTEC contain? There are 40-50 questions per default, but the number of questions can be customized. 5. What does SecTEC stand for? 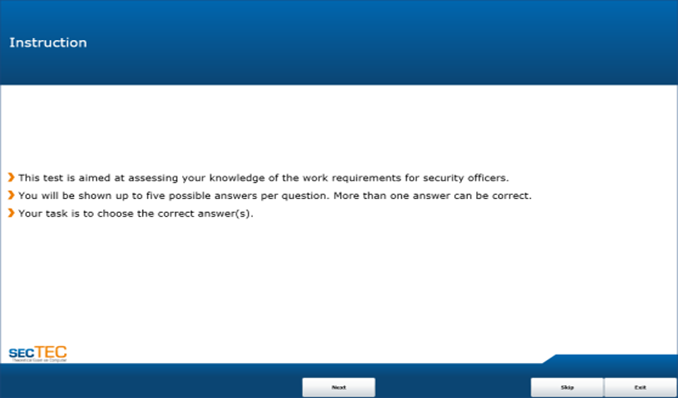 SecTEC is the abbreviation of Security related Theoretical Exam on Computer. It assesses the knowledge of a participant concerning regulations and processes in his/her work environment. 6. Is there a demo of the SecTEC available? Yes, a demo version of the SecTEC is available. Please contact your sales partner or CASRA in order to provide you with login credentials.